To be creative and “just make clothes” – with those passions in his backpack, Stephan Knüppel, Founder and CEO of Elkline, jumped into his VW Bulli 20 years ago and started the ignition. He didn’t know where he was going back then – the journey was the destination. What sounds like such a cliché meant for Elkline: being on the move, meeting people, hearing stories. And ultimately writing our own – with reliable apparel that is part of our customers' lives for years, instead of being banished to the closet after just one season. On the way to firmly establishing ourselves in the outdoor apparel market, we took some turns and detours. They challenged and encouraged us over and over to come back to the values that are important to us: reliability, curiosity, an open mind and being conscious. Not staying stuck in a box but making our craftsmanship the center of our work. Even 20 years, 200 trading partners (15 in Europe) and 5 own shops later, there is one thing we are keeping our eyes on: our responsibility for people and nature. Because they make our clothing possible. That is why sustainability and social responsibility aren't hip buzzwords to us – they are standards in our everyday life. 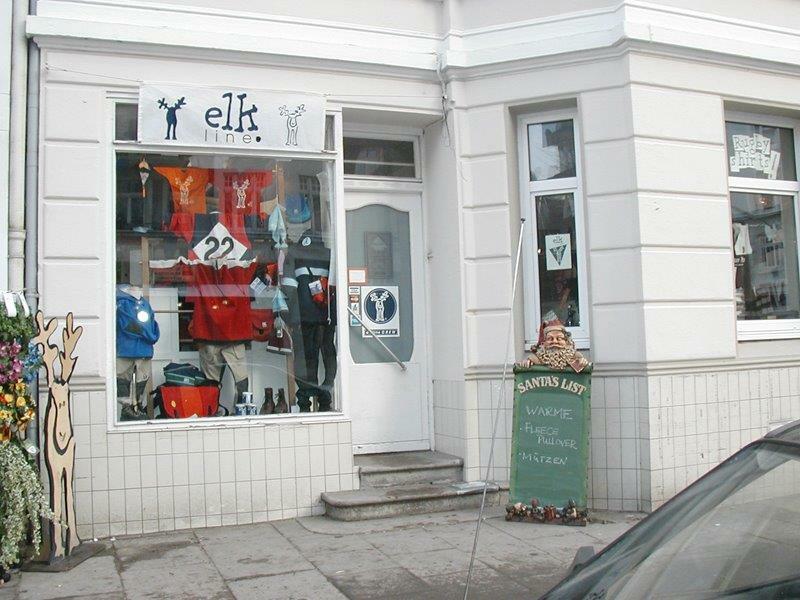 This is what has been driving us all along: creating apparel for people who share our passion for nature and traveling and who, just like Elkline, are curious to explore new routes. For everyone who lives to experience real moments, discover unique places and meet one-of-a-kind people.